Today we all step in front of the mirror to see how we look. Today we step on the scale to see how much we weigh. Today we take the IQ test to see how much we’ve learned. Today we run the race to see how fast we are. The mirror must be cracked, the scale must be broken, the test must be scored wrong, and the stop watch must be off. Sound familiar? I like the sign that I saw in a garage that read, “Maintenance Required – Don’t Blame The Manufacturer”. Romans 12:1-16 reflects all the above. Let’s read it together. Now before we get started tell the person beside you, “I’m here for a tune up. Disciple: A disciple is a follower and student of a mentor, teacher, or otherwise figure. I’m not so bad compared to ___________________. Ephes. 4:16 From whom the whole body fitly joined together and compacted by that which every joint supplieth, according to the effectual working in the measure of every part, maketh increase of the body unto the edifying of itself in love. Ok, we are all on the Biggest Loser. Time to weigh in. Luke 4:7-8 If thou therefore wilt worship me, all shall be thine. And Jesus answered and said unto him, Get thee behind me, Satan: for it is written, Thou shalt worship the Lord thy God, and him only shalt thou serve. Matthew 15:8-9 This people draweth nigh unto me with their mouth, and honoureth me with their lips; but their heart is far from me. But in vain they do worship me, teaching for doctrines the commandments of men. Majesty , Maintenance , Mission , and Mix are the words that make up our battle cry for 2010. Every word represents a challenge that we are passionate about. 1. Majesty – Giving our Heavenly Father the Love, Awe, and Worship he deserves. Not a show but a communication from our heart. 2. Maintenance – The Discipleship we will require to become more like him. 3. Mission – Owning the great commission. Plan that has a message with legs. Actions speak louder than words but the words are still foundational. 4. Mix – Fellowship getting to know each other. Taking time to become a family. 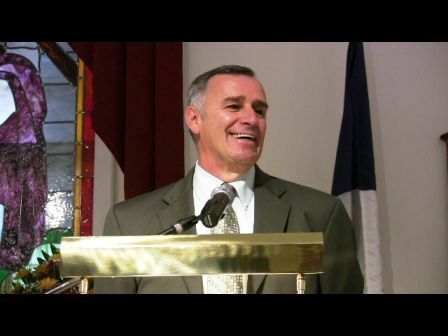 You are currently browsing the Jacob's Church Web Page blog archives for January, 2010.